Go to your APP settings in https://developers.facebook.com/ click the advanced settings tab and check if your APP is in sandbox mode. The Sandbox mode must be disabled! APP ID has been changed! After making changes in your FB App ID account, sometimes Facebook changes your APP ID without notifying you about it. Make sure that you are using the correct APP ID! 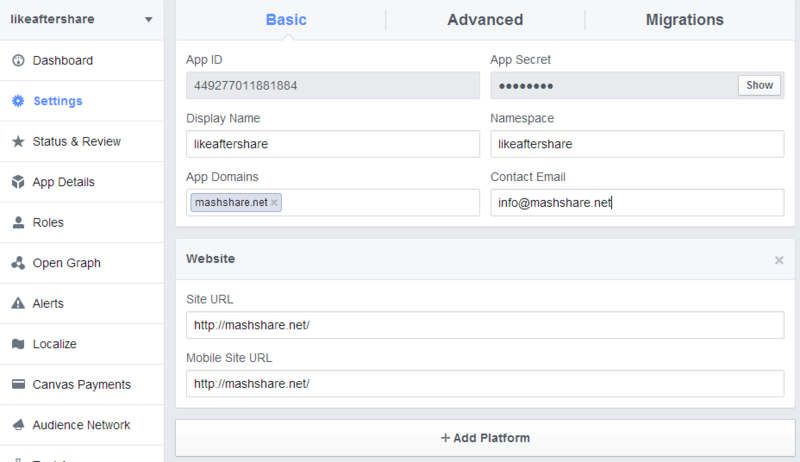 The name of the Facebook APP is not important but it should reflect your website or the Mashshare Add-On name that you're planning to use it for. Only use small letters and don't use spaces while naming your Facebook APP. Be aware of the " green dot" which indicates that the Facebook APP ID is working correctly.